A Jordanian citizen, Othman Hamdan worked construction in northern B.C. and, in his spare time, ran social media accounts that supported the so-called Islamic State and celebrated terrorist attacks in Canada. A hearing to decide whether Hamdan should be deported is planned but figures obtained by Global News show the government has been removing far fewer foreign nationals who pose security and criminal risks than it used to. 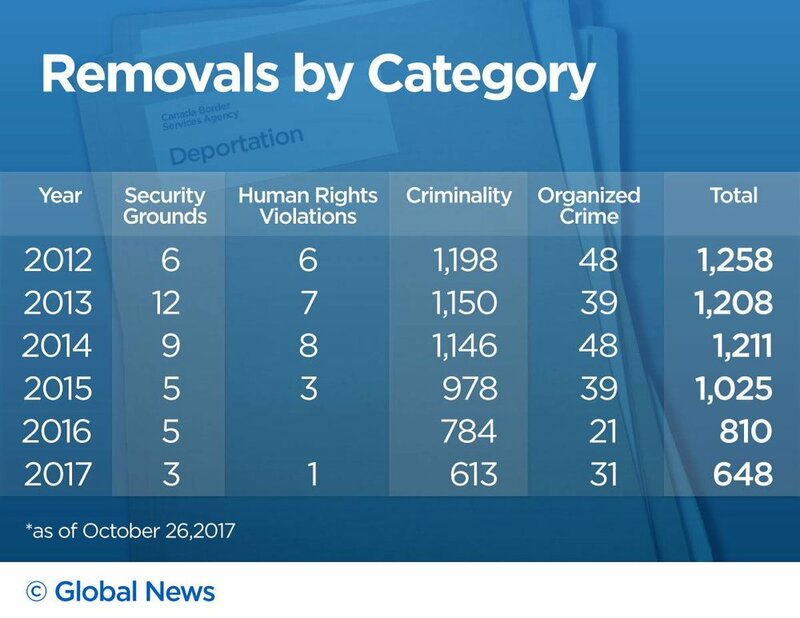 The number of foreign citizens deported for security, crime, organized crime and international human rights abuses has dropped by about a third since 2014, according to Canada Border Services Agency figures. During that same period, the number awaiting deportation on those grounds has more than doubled to 1,164. They include 20 ordered deported on security grounds and 35 for organized crime. In effect, the number of non-Canadians deemed by the government to be too dangerous to remain in the country has gone up but the number being successfully deported has gone down.